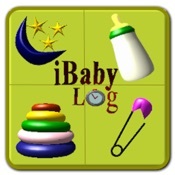 iBabyLog is an easy to use utility tool for sharing with other caregivers and tracking a baby's activity, feedings, sleep, diaper changes and many more. * Sharing : Securely share data with your spouse, friends and other caregivers. Based on the permissions, each caregiver can add/modify entries for the baby. * Multi-device support : Install and use the app on as many devices as you like and all the installs are free. Your baby data is available on all the devices. * Tracking : Track 18 different categories (Sleep, Diaper Change, Nursing, Bottle Feeding, Solids, Pumping, Todo List, Activity, Mood, Baths, Medications, Temperature, Diary, Milestones, Sickness, Dr. Visits, Vaccinations, Growth). * Backups : Never lose your important data with automatic backup setup. Once backup is enabled, you can reinstall the app on any device and get access to your data. Even if you lose the device or buy a new device, you can reinstall the app and have your old data restored. * Milestones : Built in milestones for children up to 3 years. * Activity : Track any activity, use this for even older kids. * Multiple children : Ability to log entries for multiple children without a limit. * Reminders : Setup recurring reminders for each category and child. * Charting : Comprehensive charting to analyze the trends and progress. * Facebook : Facebook integration, ability to post information to facebook. * Exporting Data : Ability to export data via email. * Support : Built in help video and email support.